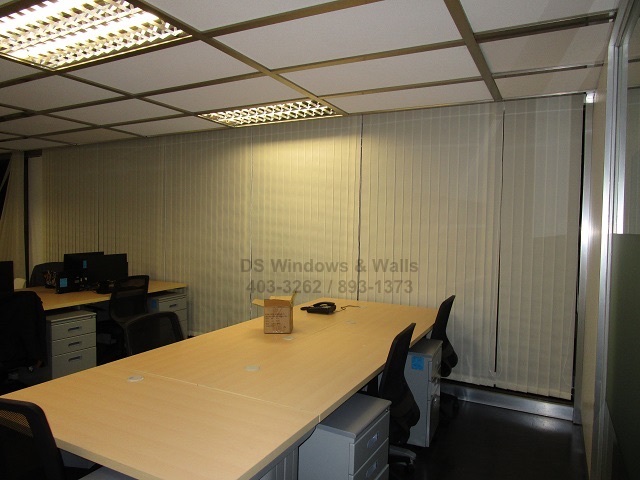 Vertical Blinds are one of the first blinds ever made that has always been a popular choice around the world for both residential and commercial use. 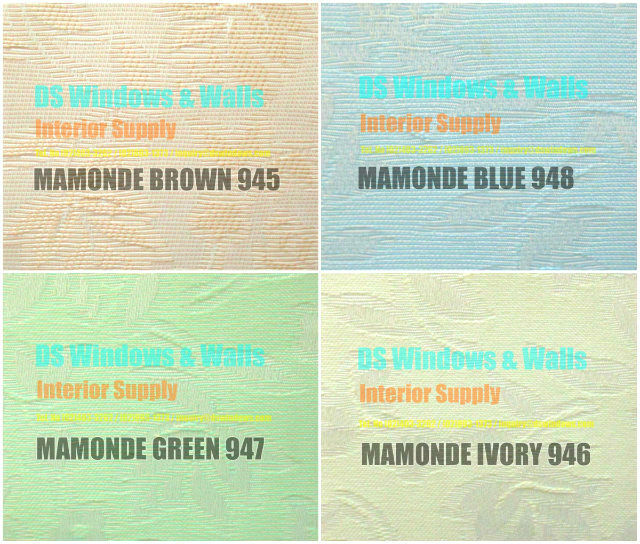 With its increasing popularity even today different kinds of vertical blinds materials is manufactured that comes with unique design and color choices. 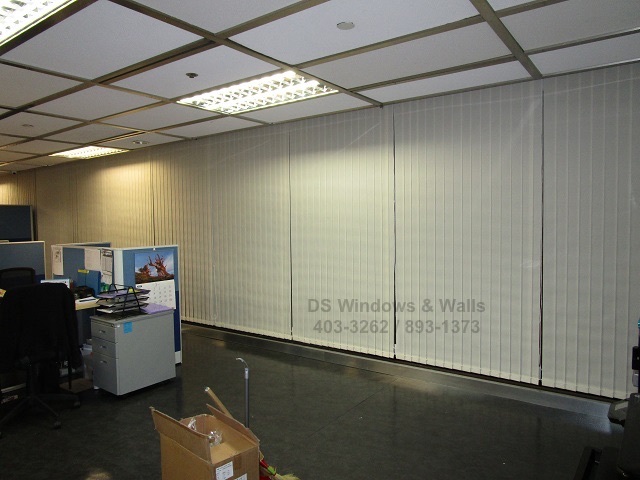 We offer two types of Vertical Blinds made with PVC and fabric materials. 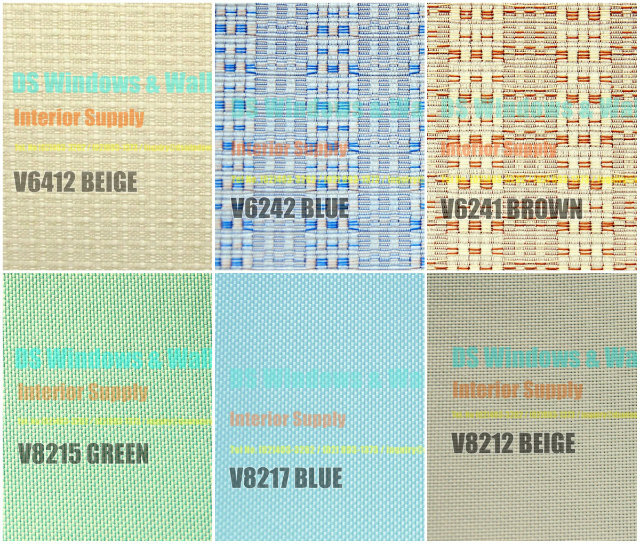 Today we’re going to feature the available design and color choices for fabric vertical blinds. One of the first series fabric vertical blinds we offer are the Vitra series that comes with several different design patterns which are the V6000 series, V7000 series and V8000 series as you can see in the photos. 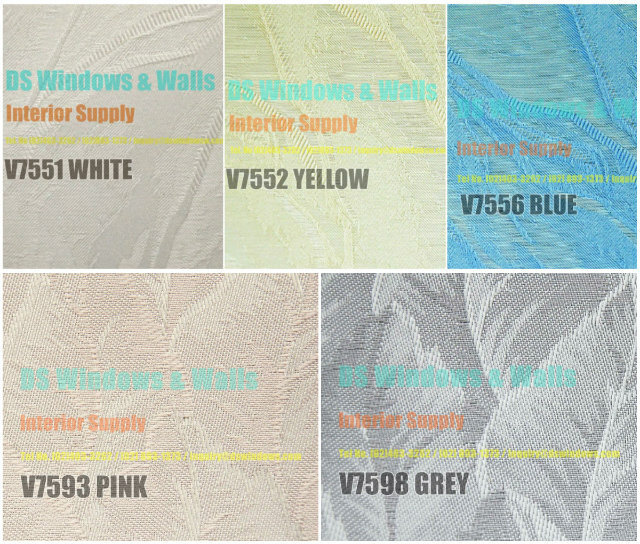 As you can see below V7000 series offers five different colors with a wavy design pattern. V7000 series provide a more nature look on its soft color, natural swirl and a little leafy abstract touch in its fabric design. 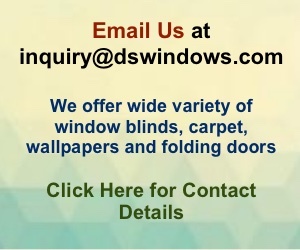 It’s great for a room that like nature theme or just prefer a relaxing look for a window covering. For the remaining Vitra Series it shows more weave pattern and simpler design. It’s also available in several light color choices. Some of the designs as you can see in the picture below were more plainer yet it’s still fashionable and has a unique style. Fabric Vertical Blinds never stop developing new design that’s why it always stay on trend and keep pace with the fast development of interior designing. Here are the following new design of fabric vertical blinds that can compete with the fast rising of new modern design and different kinds of room motif. The first brand new design we offer are the Clover Series. 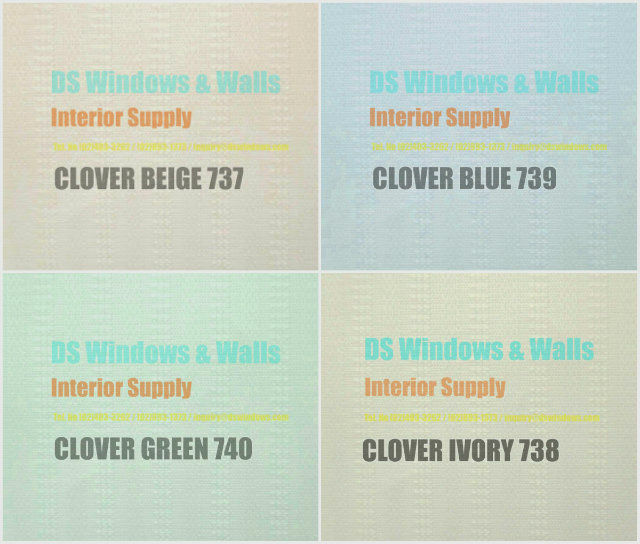 Unlike the other fabric vertical design, clover series provide a simple yet a much detail vertical line pattern. The vertical lines are noticeable and give an impression of a very neat, clean and well organize lining that suits with people prefer a well-ordered and tidy room. Mamonde Series offers a naturalistic design. It featured a much more detail of small leaf pattern on its fabric providing a soothing ambiance in a room. And, if you wanted to showcase a nature theme room mamonde series is the perfect choice. 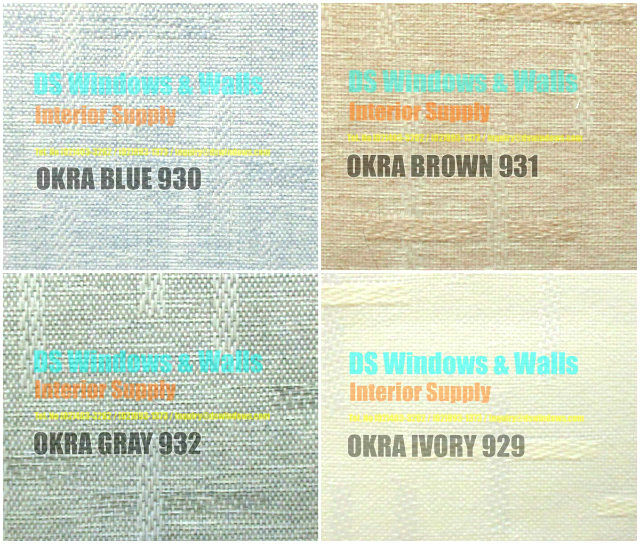 Okra Series is one of the five new designs of fabric vertical blinds that we offer. Okra and Clover series are a little similar to their vertical line design, but rather than a continues straight vertical line Okra series is cut to shorter vertical lines. It creates a unique change in the fabric pattern that develops some interest and wonder in the design. 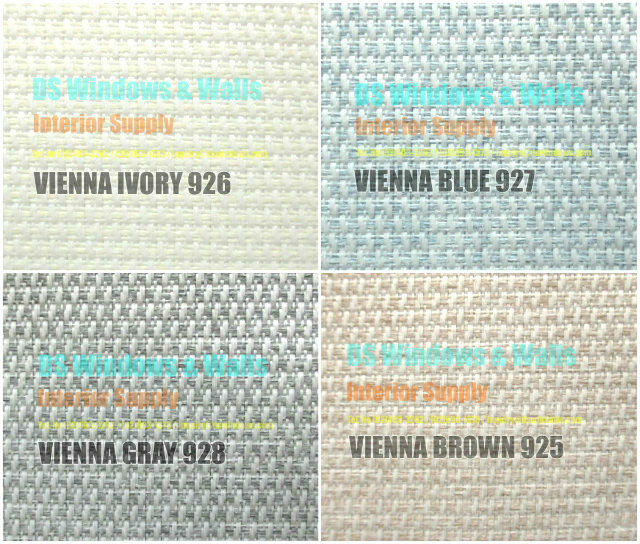 Vienna Series must probably the simplest design among the five new fabric vertical blinds. But, its simplicity makes it the most suitable with the modern room theme and the most flexible design too to easily complement any kinds of motif. 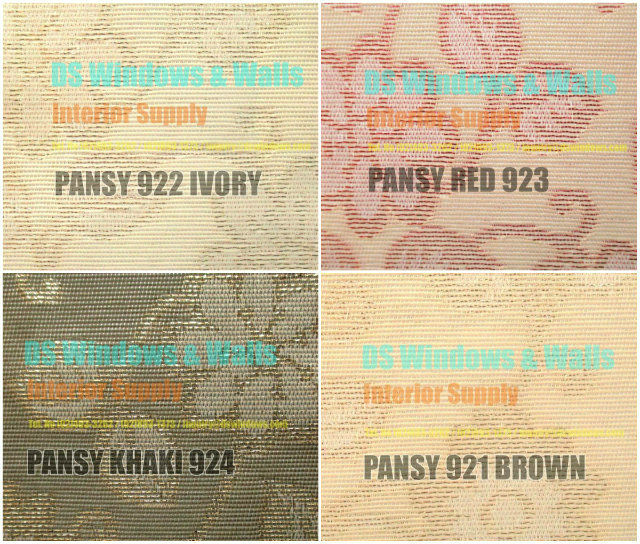 Lastly, the Pansy Series is perhaps the most feminine fabric vertical blinds. Only the Pansy series provides a floral print fabric that both young and adult women will adore. It’s a big treat to all girls, specially if you love to emphasize the feminine side of your personality through your room design. For more inquiries please call us at (02) 893-1373 / (02) 403-3262 / (02) 668-9668 / 0916-311-3909 or visit our showroom at 4th level Waltermart, Makati City, 3rd level Robinsons Metro East, Pasig City and 2nd level Pacific Mall Lucena City.